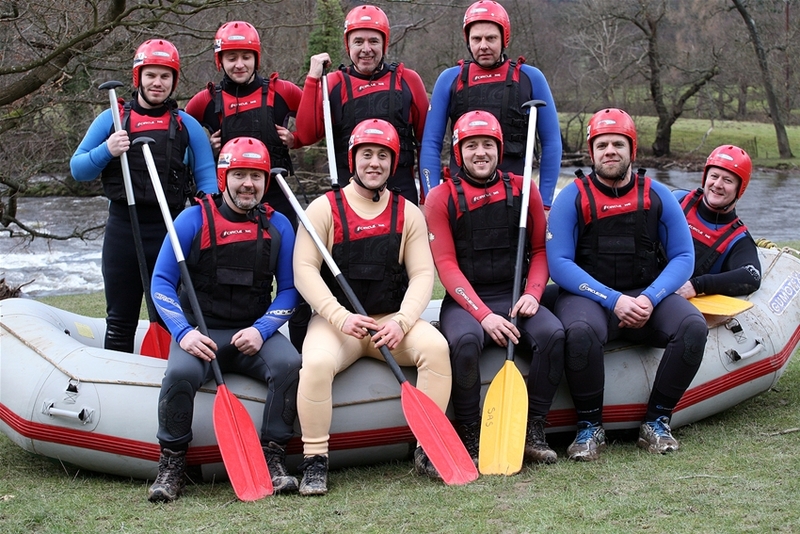 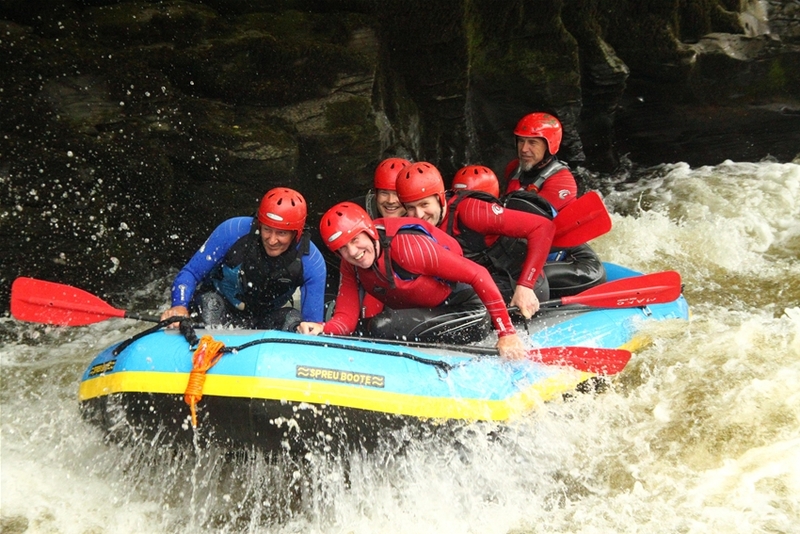 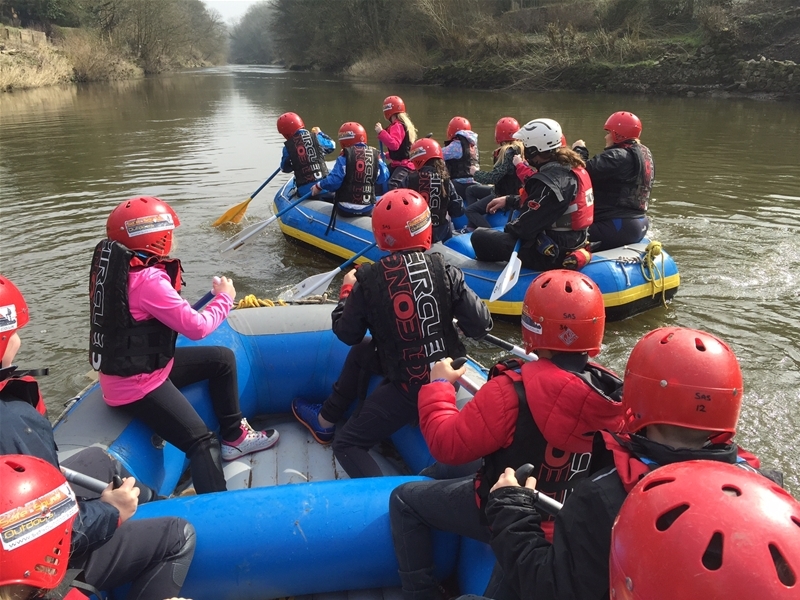 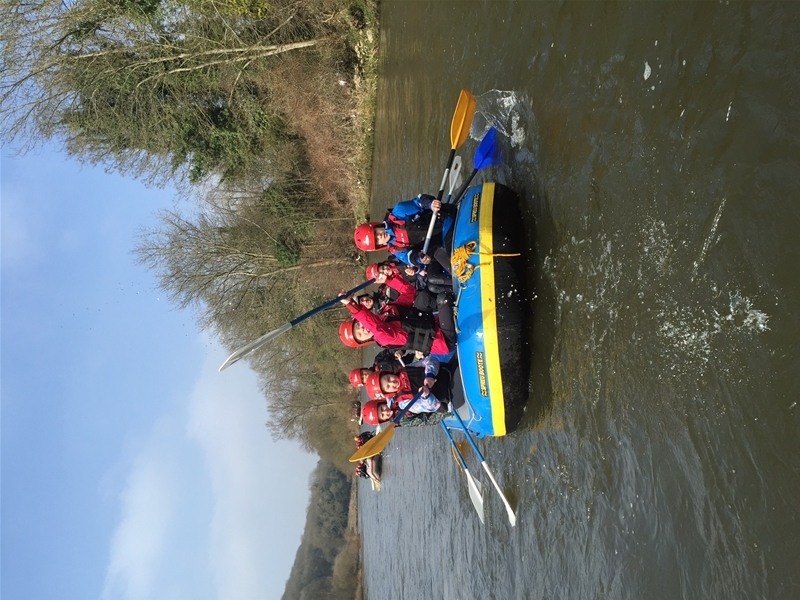 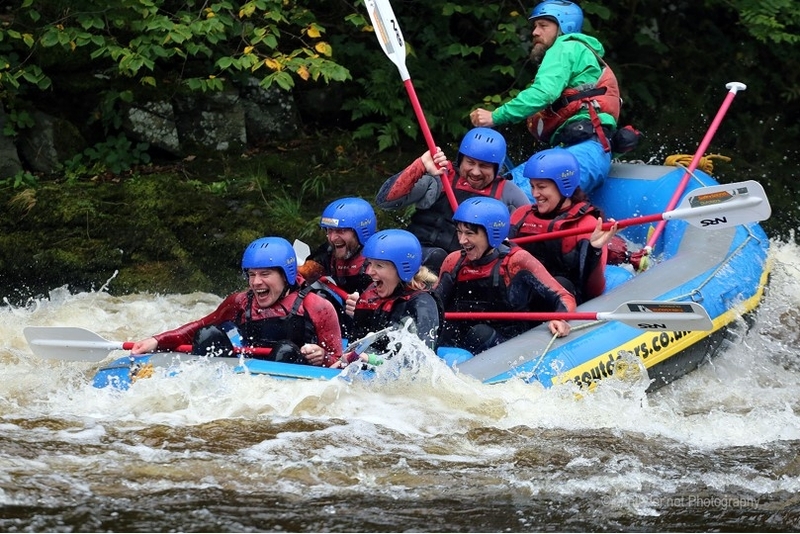 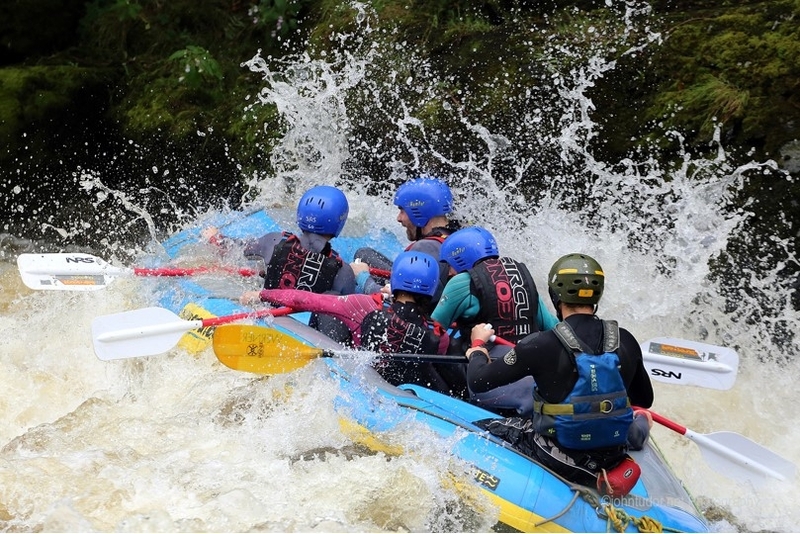 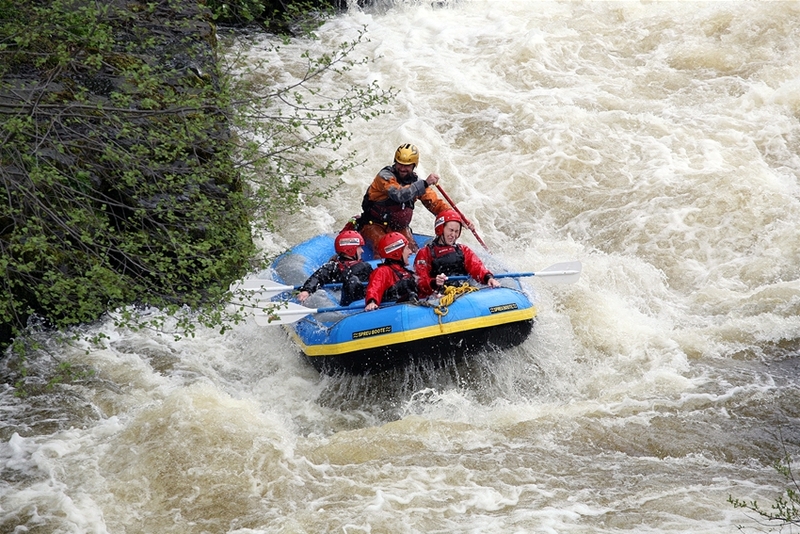 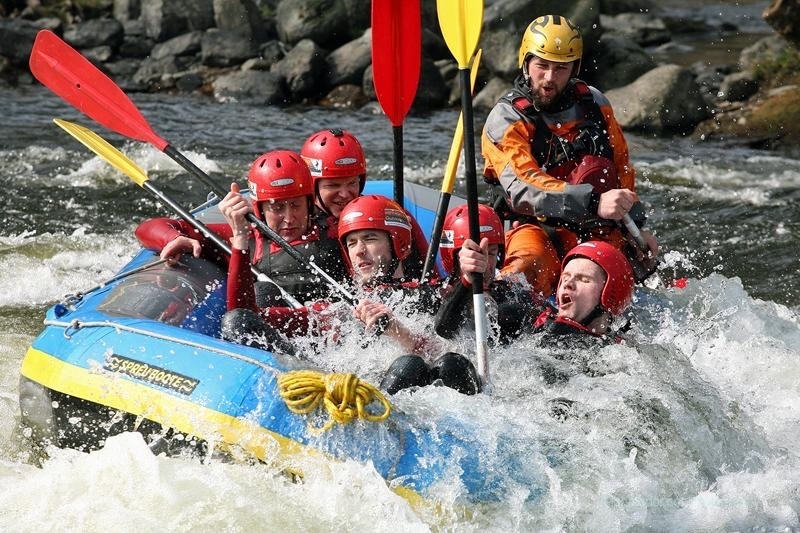 "Whitewater Rafting in North Wales is amazing fun". 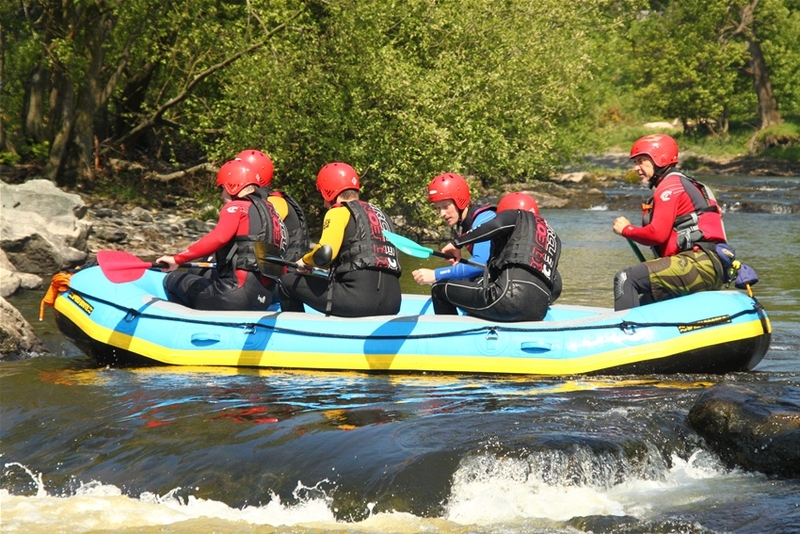 Not our words but a review from one of our many happy customers. 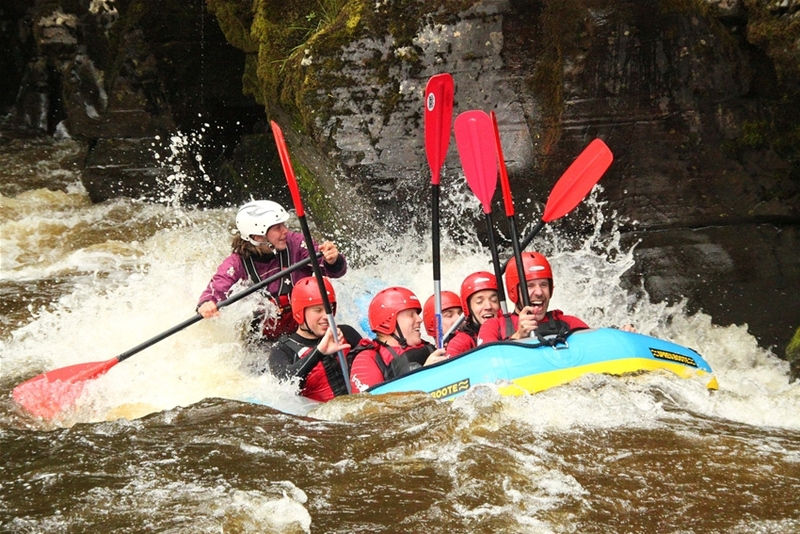 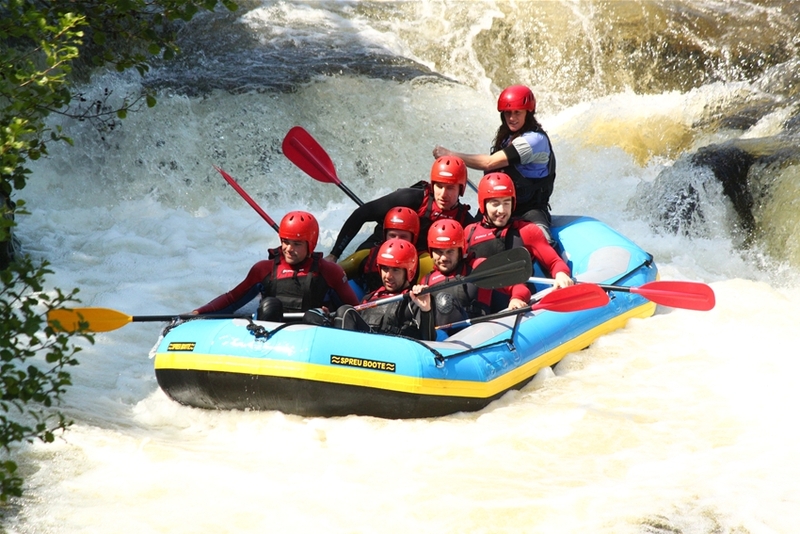 On the River Dee you'll experience the thrills and spills of a Grade 2/3 whitewater river with such highlights as Serpents Tail, Town Falls, Campsite Weir amongst others. 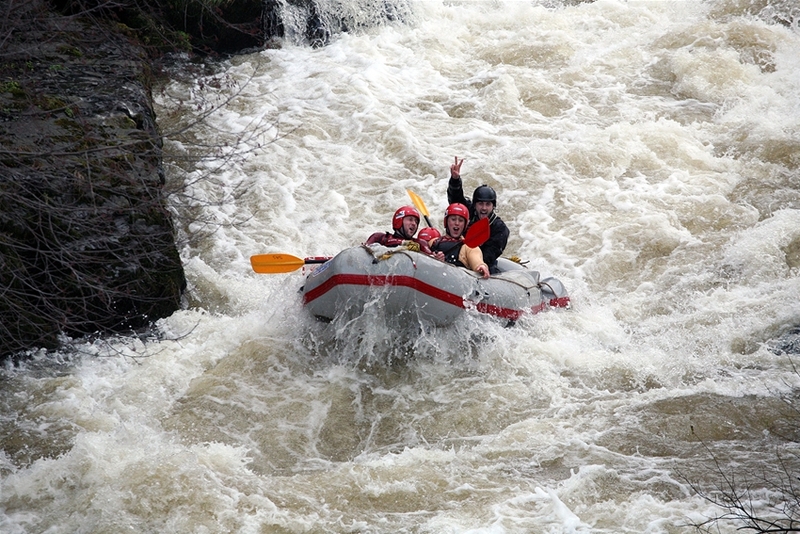 Come and try it out!!! 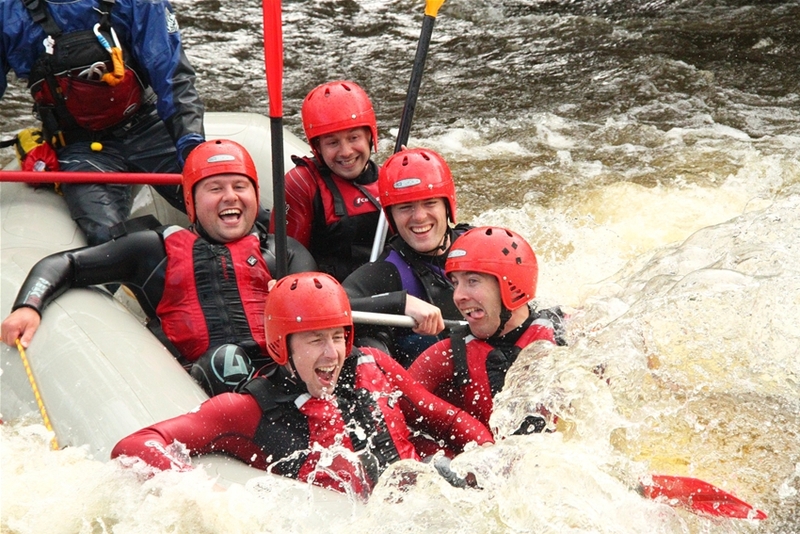 We require a minimum of 4 people to run a session. 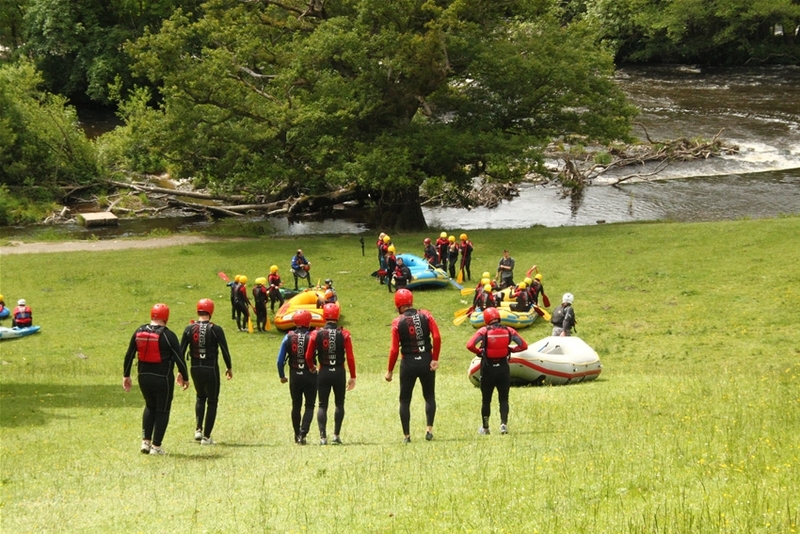 If you are booking for less please call the office to check availability.